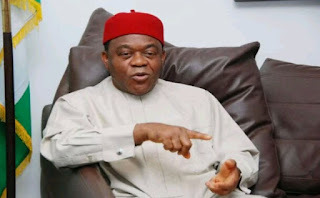 The Senator representing Abia Central Senatorial District at the Senate, Senator Theodore Orji has declared his intention to retire from active politics in 2023 after serving for 8 years in the Senate if he wins the 2019 elections. Orji, who served 8 years as governor of Abia State said though it is always difficult for politicians to voluntarily retire from active politics, he would be an exception as he would do that to show example and that politicians can retire honourably. He said that his retiring from active politics is that he will no longer seek for any elective political position, From 2023, I will still be in politics but would not run for any elective position but would rather play the role of a father, mentor and guardian”. Orji, who spoke through Ifeanyi Umere, his liaison officer in Umuahia, also named maturity and experience as the factors that make him and his successor, Governor Okezie Ikpeazu maintain cordial relationship. He also said that Governor Ikpeazu has done well to earn his support, adding that the Governor would even win the 2019 elections to do a second term, just like others before him served out their two terms. Orji said,“In 2023, I will quit active politics; I don’t know if there are politicians from Abia State that have done that, retired voluntarily. Politicians hardly retire. The 2019 is going to be the last election I will participate in for myself as an elective person and I am sure, very confident, that I am going to win not minding the antics of the opposition”.